We redesigned the site completely to reduce the size of all pages and speed up loading. It also features better navigation and has more conveniently organized sections. The website offers a lot of new information that was added to answer foreign audiences questions. And there is a separate section on investment into Russia. 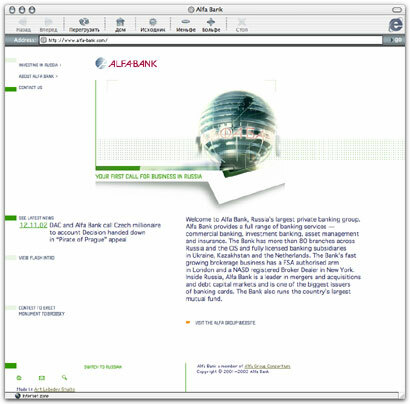 We meant to renovate the Alfa Bank website perfecting its every detail. The result is faster, smarter and more effective than the previous version.